What are the best Range Rover Trackers? Range Rover vehicles are the pinnacle of luxury in the SUV sector. Sitting alongside the more traditional, rugged Land Rover cars Range Rover vehicles are the upmarket sub-brand built in Britain and comprising the sumptuous Range Rover, smaller Range Rover Sport, Range Rover Vogue, Range Rover Autobiography and the chic entry-level Range Rover Evoque. Famed for their exceptional levels of equipment and luxury cabins Range Rover cars are a design icon and as a result are an attractive proposition for thieves seeking a high-value vehicle. That is why Range Rover owners regularly contact us to secure their vehicle with a Range Rover Tracker and protect it against unscrupulous car thieves. What will a Range Rover Tracker do? Fitting a Range Rover Tracker gives the owner peace of mind if the car is stolen. 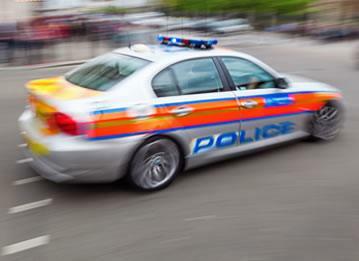 A tracker will be able to give police precise co-ordinates of where the Range Rover is and is usually installed in one of several different places in the car to ensure thieves find it difficult to discover where the tracker is installed. This prevents the thieves from removing the Range Rover tracker before the owner can track the destination of the car and is the secret behind the incredible rate of success car recovery has when a tracker is installed. 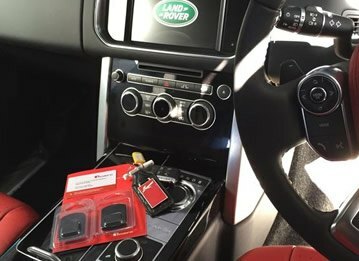 If you want to fit a Range Rover tracker device we recommend you use a Thatcham approved technician. 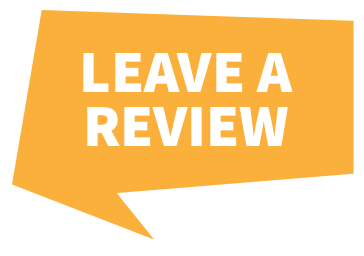 All of our technicians are approved by Thatcham and can travel to your address to install the Range Rover tracker and increase the chances of finding a stolen Range Rover. RAC Trackstar is the only manufacturer approved car tracking system for Range Rover and Land Rover group and includes European service. motion sensing, tow away alerts and much more. Range Rover owners looking for precise GPS tracking as an ultimate tracking solution should consider the CobraTrak Cat 5. Approved by some of the world’s best-known luxury car manufacturers the CobraTrak Cat 5 is a professional solution to secure your Range Rover vehicle. The CobraTrak Cat 5 meets the highest level of insurance accreditation available in the UK and as a result can even lower premiums on a Range Rover. 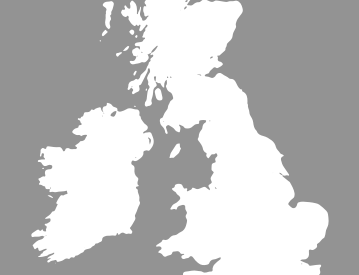 The system protects vehicle from key theft and includes European coverage as well as Russia and South Africa – two common destinations for stolen luxury cars. The CobraTrak Cat 5 also offers tow-away and tamper alerts, driver recognition and even a remote engine immobilisation system to switch off the engine if the car is discovered missing. The advanced GPS system can pinpoint the car within ten metres and the package includes European police liaison in the event of theft. Another system for Range Rover tracking is the Smartrack Protector Pro. It features motion sensor alerts, battery disconnect alerts and European coverage. The tracker is monitored by a 24/7 control centre and, like the CobraTrak Cat 5, is covered by a impressive three-year warranty. The Smartrack Protector Pro is an ideal Range Rover Tracker. A Range Rover is the epitome of British sophistication and refinement and the high value, extensive equipment and inherent desirability of the brand means it can often be a car thief’s primary target. However, this does not mean Range Rover owners should be worried about their car being taken. 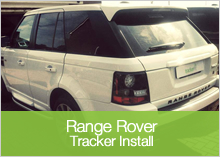 Simply allow us to install a Thatcham approved Range Rover tracker device to your vehicle and let us do the rest! 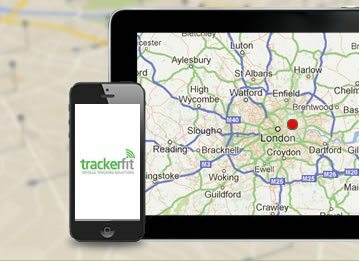 Call us on 0800 096 3092 for advice on choosing the right Range Rover Tracker for you.